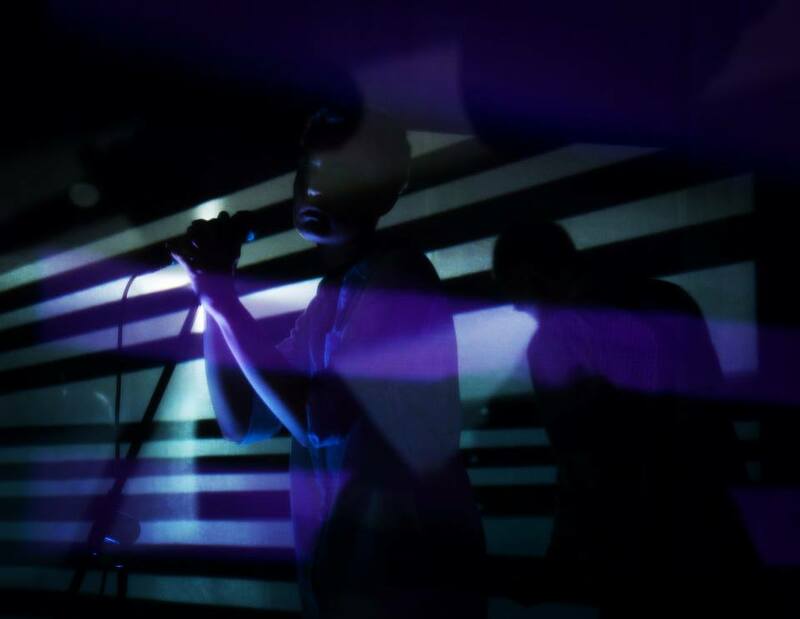 Their mix of trip hop, post punk, experimental, electronica and alternative rock is compelling. They have released two music videos and are currently recording a debut EP planned for release in the spring of 2019. Prince Albert is not really related to Ukrainian realia or contemporary trends. What we are trying to do is more an individualistic approach, meaning we are trying to reflect our personal inner experience more than time and place we are in. I guess we are also bringing in emotional part, not a dramatic one though. We are trying to be honest with ourselves as well as with our audience when making music. We are closely working with visual artist Zhi Zhi, who makes a lot of generative art performances for us. The visuals are synced with our drum and bass lines this way interacting deeper with our music. Dima Maasica, our guitarist, designs all our posters and visual art. He also designed PA logo. Together with sculptor Vitaliy Kokhan they created some of the cool handmade merch pins. Our videos were produced by our great friends Stas Gajewsky and Jammi York who both directed and shot them. The “Exorcism“ video has many hidden narratives, it is based on mythology and various literature references. “Fall“ was shot by Jammi York, a NY based photographer. In the video he reflected the spirit of two cities, our native city Kharkov and NYC, mixing their characteristics and we believe in this way, breaking the boundaries. What are your goals as an artist artistically/commercially ? Currently we are more focused on shaping our music to the extent where we could say it is solid. We are also polishing our live shows trying not to repeat ourselves every next time. Well a dream producer would probably be a person who would understand our key music points as much as we do and enhance them. However, we never really thought about finding one. As a band we are making music that we actually like. We are looking forward to see what we could evolve into. The songwriting process should be natural but at the same time it requires a lot of efforts to put it all together. We don‘t have a specific approach for it, but we are trying to adjust to ever changing conditions to make our music simple and clear. All the three of us have different background and like different kinds of music, art and architecture, which principles we are implementing in our music. I think we are trying to synthesize our previous cultural experience and get the best out of it. As for the sound, Alex is bringing more Berlin 80s to Prince Albert. Dima is a huge fan of Portishead, all of us grew up on Radiohead, this is what you cannot take from us. The political situation in Ukraine has been very difficult. How has it affected you as an individual and as a band? I guess we have started being more proactive after the events took place. Basically all the political and social perturbations sort of steal your time blocking your plans and dreams. So once you feel it passed you understand you have to speed yourself up to kind of catch up with the world. I believe Prince Albert was founded on the post- crisis wave as well.